The Final Day of Zingbi Mysore Fashion Week Season 5 started with an energetic show by the Ashfaque Ahmad, the designer best known for evening dresses and cocktail gowns! His strong penchant for Western designs gave rise to a collection of exquisite pieces that display his creativity and elegance. 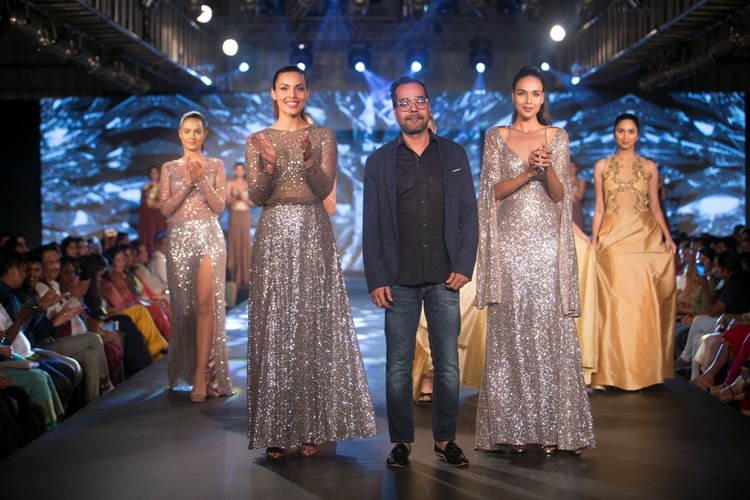 His Indian sensibilities led him to draw inspiration from India’s rich heritage and reintroduce the ancient techniques with elaborate embroideries, intricate beading, rich fabrics of flowing tulle, silk, and creamy georgette. 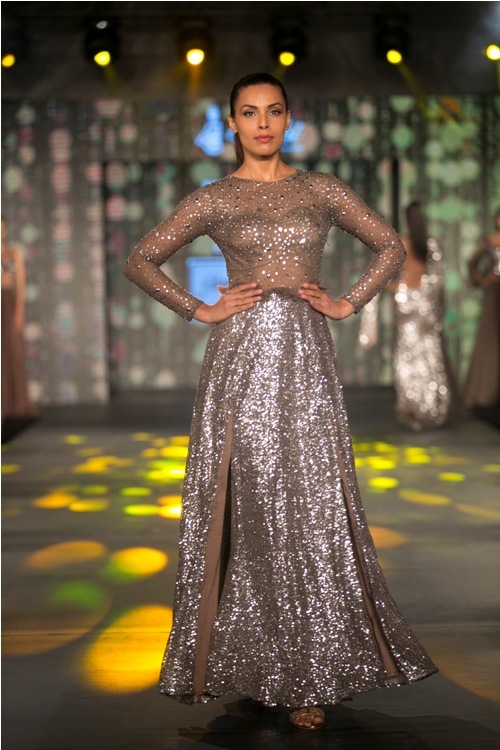 Next show of the day was by Dazzles, a brand that has evolved ahead of the trend. Since its inception in ‘98, Dazzles under the mentorship of Mr. Prem and Mr. Kiran has been an epitome of fashion for the folks of Mysore. 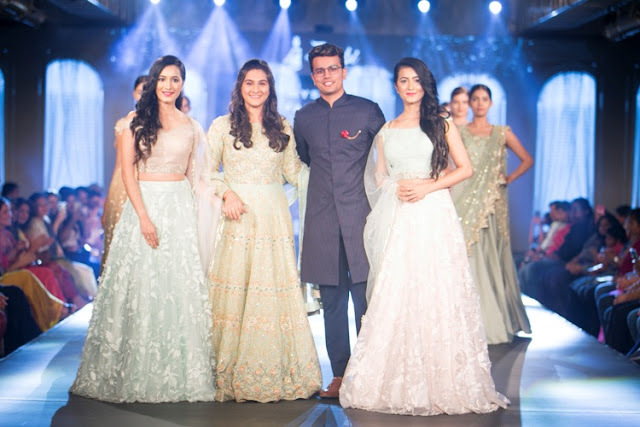 Actors Ronit and Suman graced the ramp for this iconic brand that recently launched its bridal studio! Ace designer Sourabh Kant Shrivastava was next to showcase his latest collection, ‘Champa’ at the biggest fashion event in the south. The collection was an amalgamation of Western and Fusion Wear, inspired by the flower 'Champa' also known as Plumeria in English, the collection focused on handpainted techniques with embellishments. 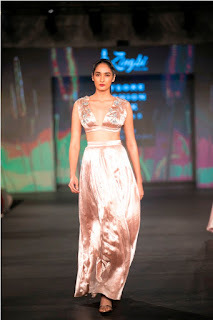 other than hand-painting the collection had velvet applique and silver handwork all inspired by the same flower.. the color palette used was white, powder pink, burgundy, and black primarily, in Pure Cotton, Georgette, Imported Satin, Velvet and Suede. Prince Phinehas dared people to be fearless in their choices. 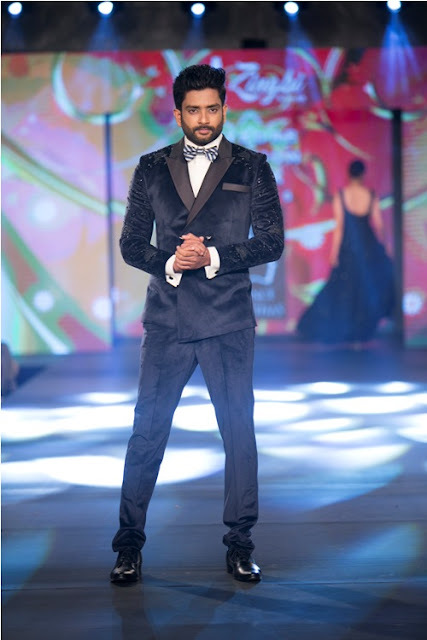 He presented global fashion at the fashion event with luxury, elegance, and passion. They take pride in the fact that their outfits are completely made in India. Prince Phinehas is the young, vibrant, fabulous, designer from Chennai, and is the man behind Prince Phinehas Designs. The design studio believes that every individual, is uniquely and wonderfully made and that is what makes each person extremely invaluable. Hence they create unique products which they believe can close the gap between, imagination and reality for all their customers. 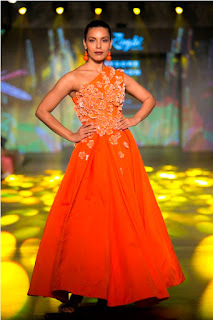 And his latest collection left everybody wanting to look, extravagantly good!! 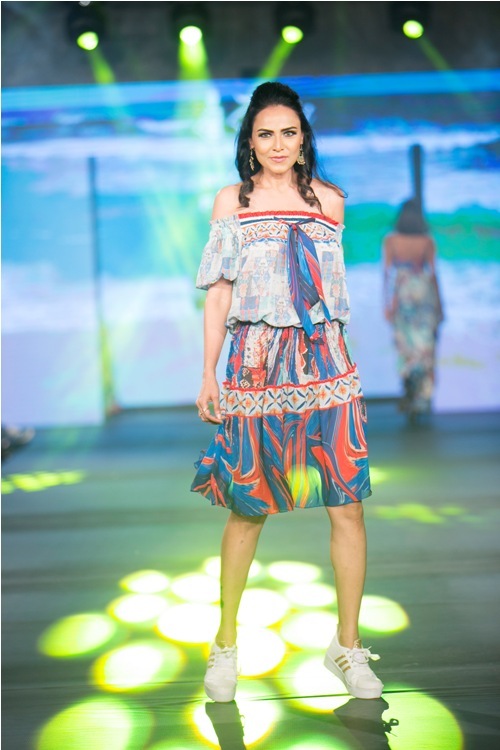 The Pre Finale show of this fashion extravaganza was Rinku Sobti, who showcased her latest collection Clio. 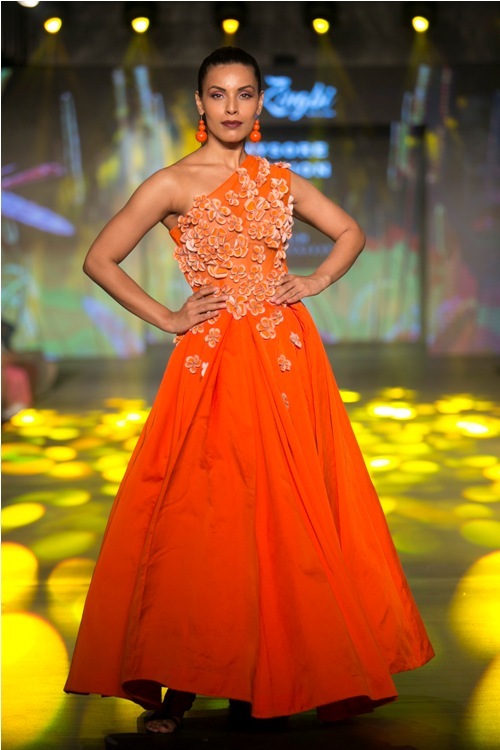 The glamour queen Parul Yadav graced the ramp for the designer at the Final Day of Zingbi Mysore Fashion Week. 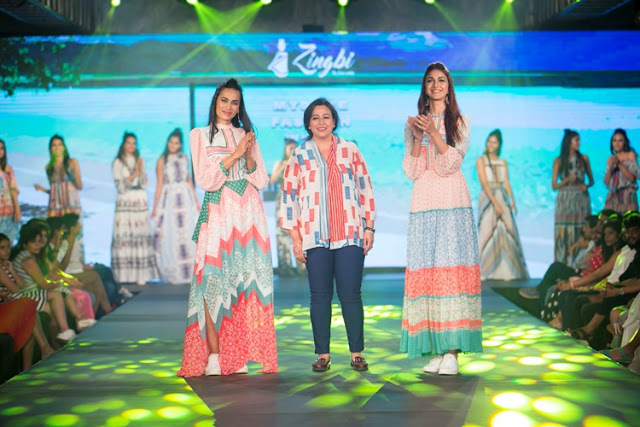 The collection included ditsy prints and featured versatile comfort Day to Evening wear in colors like white, blue, rust and yellow. The Mysore Fashion Week Season 5 ended with a bang with ace designer Swapnil Shinde showcasing Metamorphosis, his latest collection. The collection like all its previous ones did not fail to impress all those in attendance. 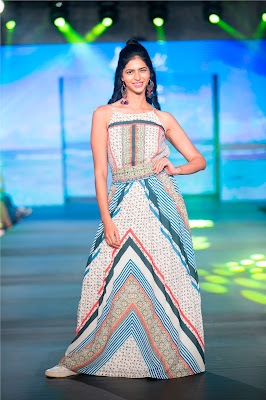 From jet blacks to pastels to an explosion of colors the collection took you for a ride through vibrant experience. Fabrics comprised of chiffons, dupioni, faux leather, and PVC. Metamorphosis was deeply inspired by the colors and shape of a butterfly and its journey through the metamorphosis of freedom and dreams. 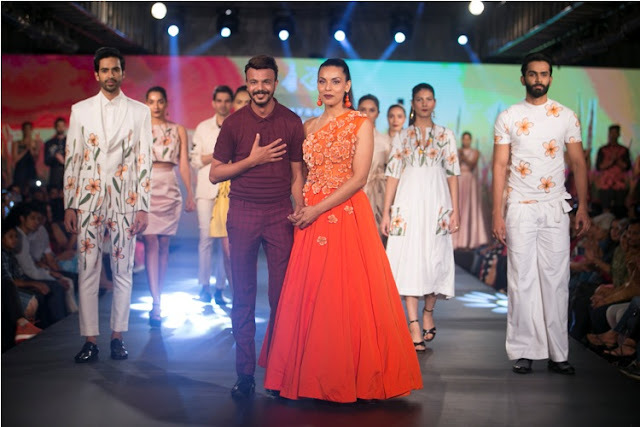 This year’s Mysore Fashion Week was as lavish as promised and has surely set the bar higher than ever for other fashion events in the southern parts of India, in terms of luxury, creativity, and quality!